iGEM is unique in it's comprehensive and thorough approach to synthetic biology. Leading the field in fostering an environment of mindful and responsible work. Safety & Security are not only key facets of iGEM, but important factors which every team must carefully considered in the scope of their work. 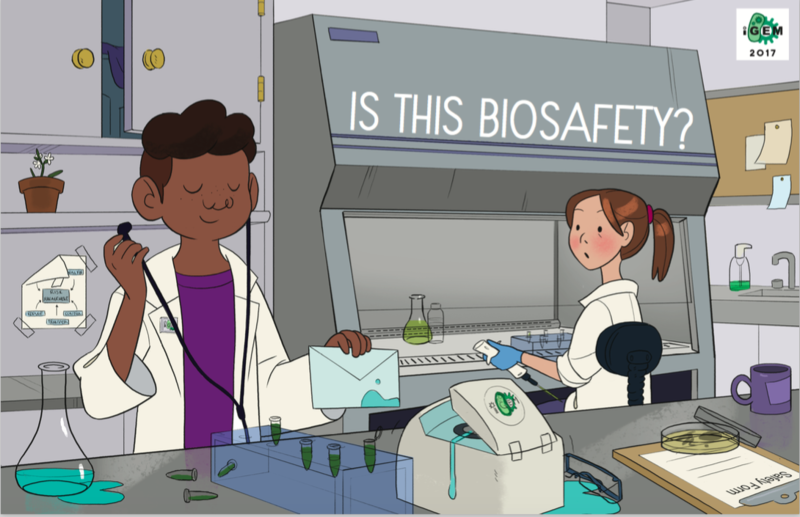 Through grappling with the difficult biosecurity and biosafety questions that are raised by synthetic biology in general, or by their project in particular, iGEM is cultivating a workforce that is mindful of their work and potential uses of their product, regardless of intent. A message from Piers Millett, iGEM Director of Safety and Security. iGEM is a competition - rewarding and fun. It is important that safety efforts keep everyone safe but do not unduly restrict what can be achieved. Some activities are absolutely prohibited, such as an environmental release or the use of dangerous pathogens. In some cases, such as those involving gene drives, special waivers may be available. Other activities are subjected to high levels of scrutiny, such as the use of animals, or parts from exotic organisms, or certain types of anti-microbial resistance. Many projects only involve standard lab organisms and parts known to be safe (the White List) have a proportionate level of oversight. Teams are able fast-track safety oversight by demonstrating there are complying with robust national and institutional safety arrangements. Failure to comply with the lab safety rules, breaching safety policies, or failing to provide safety-related information all rapidly lead to disqualification. Initial project plans and lab arrangements are reviewed by an external partner. Additional information is required and reviewed any time a team uses a part or organism not on the competition’s White List. Towards the end of the competition, the team’s supervisor reviews all the information provided and signs off that they have worked in accordance with relevant rules and regulations. The parts held in iGEM’s Registry are also screened for potential safety and security issues by a second commercial partner. Any problems identified in these screens are passed on to our Safety committee. The membership of this committee includes current and past government experts, regulators, academic and industry experts in synthetic biology, as well as environmental biosafety, lab biosafety, biosecurity and science policy specialists. iGEM is working hard to improve both the safety and security practices we use and how we make that information available to the wider community. At the start of 2017, we substantively reworked the safety forms and White List to reflect current understandings of risks. iGEM has also clarified its position on specific activities that might be attempted by teams, including on: For more information see the Safety Policies page on the 2017 wiki. This complements our long-running policy not to release any project or product into the environment. iGEM is also building new tools to help teams work safely and securely. For example, out Director of Safety and Security, Piers Millett, is working with the Safety Committee to develop a risk assessment tool to help teams identify potential risks associated with their project. iGEM is also a unique space to test new tools. We are exploring ways in which we might work with the broader community to benchmark or improve safety and security tools better suited for engineering biology. Thanks to support from donors, iGEM is able to expand our efforts to work with teams on safety and security issues. 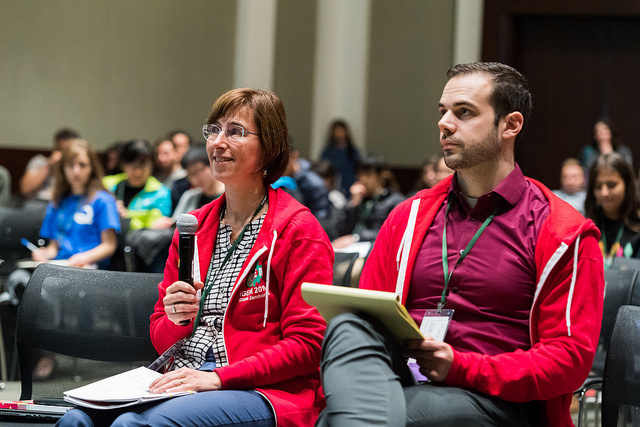 In June, we will be hosting a regional meeting in Hong Kong to talk about how to succeed in iGEM and how to do that safely and securely. This is a protoype for a wider set of meetings we are planning for the future If there are opportunities for iGEM HQ to work with teams on safety and security issues, please contact our Director of Safety and security piers (at) igem.org. Safety and security is everyone’s responsibility. 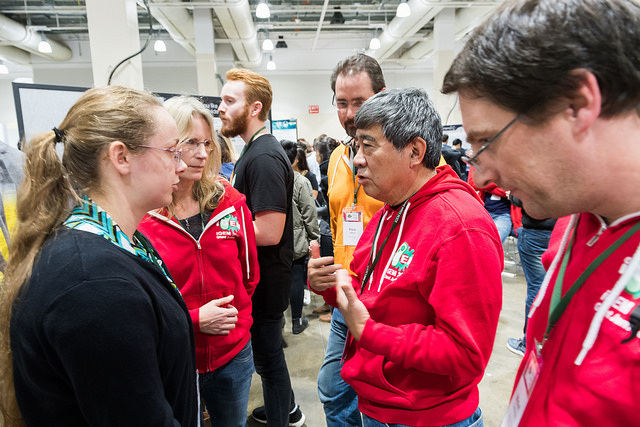 To assist teams in their efforts, iGEM maintains a Safety Hub to provide information, such as the competition’s lab safety rules, roles and responsibilities, and policies on specific issues. The Safety Hub also provides guidance, for example information on different risk groups, as well as ways to get advice, including through the Safety Committee. It also provides access to safety tools used in iGEM, including Safety Forms and the White List. iGEM is an educational experience. Competitors learn a wide range of skills that will be important in their later careers. That includes being able to assess any risks associated with their work, interacting with institutional biosafety committees, and meeting regulatory requirements. iGEM works hard to provide teams with the resources they need to excel in safety and security. We also recognize excellence through a Safety and Security Commendation at the Giant Jamboree. iGEM is an innovator for safety and security. As an interdisciplinary, international competition that often involves the very cutting edge of advanced biotechnology. iGEM needs to ensure projects are safe and secure - often in advance of regulations of guidance from governments or other groups. We have invested heavily in identifying potential safety and security issues and in building procedures and practices that are context-specific, responsive, flexible and principle-based. iGEM works closely with biosafety and biosecurity professionals as well as regulators to ensure that its approaches are the best available for managing and mitigating any risks. To this end, iGEM is also a unique sandbox for testing and improving such procedures and practices and is keen to continue to work with our partners to safeguard synthetic biology. iGEM’s work on safety and security has been supported by a grant by the Open Philanthropy Project. This vital contribution has allowed us to scale up both efforts to strengthen our procedures and practices and how we share the lessons we learn with the wider community. For a White Paper on context specific risk assessment where they considered how risks associated with parts in their project might change if they were to come into contact with different organisms. For a report on the dual-use nature of advanced biotechnology – where its impact on society is determined by the intent of the user. This report was felt to be an excellent review of this issue - and an important resource for future iGEM teams. For integrating safety considerations into the design and production of their project. This team undertook a series of experiments to determine whether safety-based decisions taken in project design actually resulted in the desired improvements. For working with the gene synthesis industry to test whether their screening techniques could detect illicit orders that had undergone a frame shift. Their security work was directly connected to their main project. This was an excellent example of responsible whitehat biohacking. The lessons learned through iGEM are potentially useful to the much broader community setting safety and security policy throughout the world. To ensure our experiences are shared and that others can benefit from them, iGEM is increasingly active in many different processes. Past efforts can be found on the Global Impact page. We would welcome your ideas on where we should be talking about iGEM’s safety and security program. 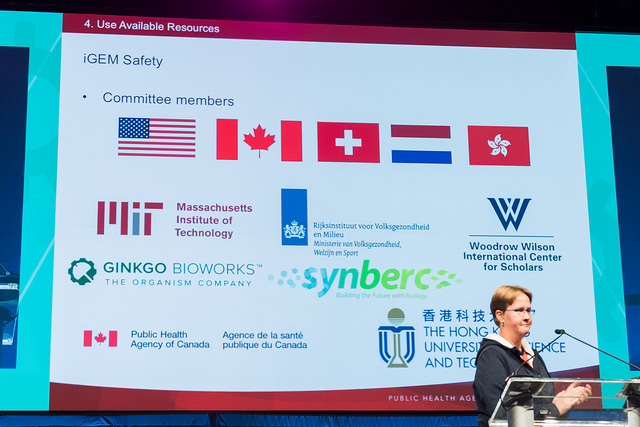 The iGEM Safety Committee is a group of experts in biosafety, biosecurity, and risk management. Its members come from diverse elements of industry, academia, and government. The committee helps create iGEM’s safety program and gives expert advice on potential safety and security issues in the competition.